In this episode of Suite Spot, we welcome in 2019 with several new year reputation resolutions for hoteliers. Ryan counts down the top 5 ways to make sure that your reputation strategy is off to a fast start and sets you up for success throughout the rest of the year. 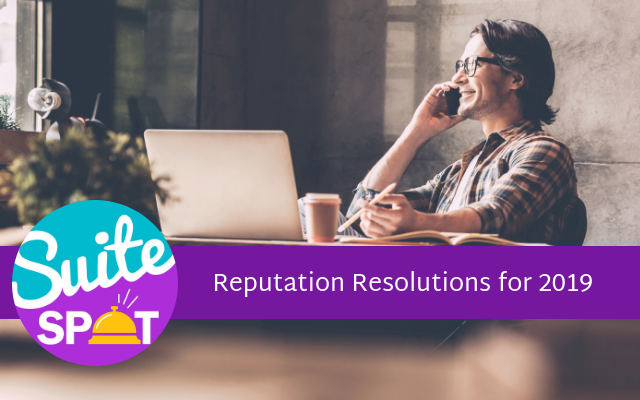 From top to bottom, these resolutions cover all things reputation, from recognizing which online reviews sites are at risk, to responding to every review. This list is a great way to kick off the new year for your hotel. We would love to hear your feedback on our list and what your 2019 reputation resolutions are. You can reach us by either calling or texting us at 407-984-7455 or email us at info@travelmediagroup.com. Ryan Embree: Okay. Hello and welcome everyone. Thank you for listening, wherever you are out there. My name is Ryan Embree, and I am the host of Suite Spot. We kicked off 2019 with our last episode, but we are still here at the beginning of the year, and today we are going to be talking about new year reputation resolutions, so we recognize right now this is the time of the year where hoteliers are gearing up for a full fiscal year. They're setting some goals in place. They've got some ADR goals that they're looking to hit for maybe this year. They're trying to set themselves up for success around the spring and summer times when they get a little bit busier. So we want to make sure you're getting off on the right foot out there by given a list of the top five new year reputation resolutions, and we start our list at number one. Ryan Embree: We would challenge you to really find and recognize your high-risk areas online that have lower review scores than you're wanting. And, the first way that you can really go about doing this is googling your property in several different ways. Using your city name, using your state, leaving your state out, those are all going to procure very different, uh, Google searches and results. This is what your travelers are doing on an everyday basis when they're trying to find out more information about your property. Once you do that, you can create a list of review sites that you're seeing right there on the first page or even the second page that might be high-risk areas. These are sites that might have a little bit lower review scores, than you necessarily want and could be impacting traveler conversion rate. Ryan Embree: From there, we're going to move on to number two in our lists, which is set smart goals when it comes to those high-risk online reputation sites and attribute them with ratings and numbers of reviews. So when we talk about smart goals, we talk about, again, specific, measurable, attainable, and realistic timely goals for individual review sites. So as you start googling your property, you see where travelers might be being drawn or attracted to a competitor. Start to come up with some realistic goals for where you want to end 2019. I would encourage you go even back as far as all of 2018 and start counting the amount of reviews that you get. Quantity as we know we talked about is one of the things that TripAdvisor uses an algorithm for ranking. We also want to set expectations as far as the scores that you want to be receiving. 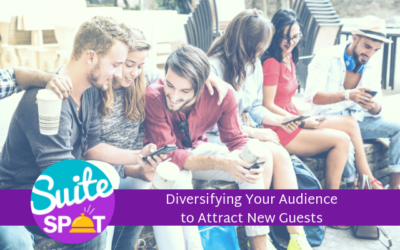 Ryan Embree: I would also encourage you as a best practice is share those with guests. When you're talking to your guests that check out, instead of just hearing someone say, "you know, I had a really great time at your property" and your staff just kind of responding in that, "Oh, if you did, please leave us a review." How about targeting and directing those reviews to a place where you really need those positive scores? You know, say something like, "I'm so happy to hear that you enjoyed your stay. As a team, we have a goal to be a four-star-rated property on Google+ by the end of 2019. It would really help us out if you would leave us a review on Google." Travelers that are willing to leave feedback and really enjoy their stay, they're going to be more open to hearing that and especially if they're going to be helping out your business. Ryan Embree: Now, number three is about asking for feedback and implementing new and innovative ways to get feedback from your guests. Get everyone on your staff involved with these team goals, right? If you have a goal to be a 3.5 star on TripAdvisor, let everyone on your staff know, not just your front desk agents, your housekeeping staff. 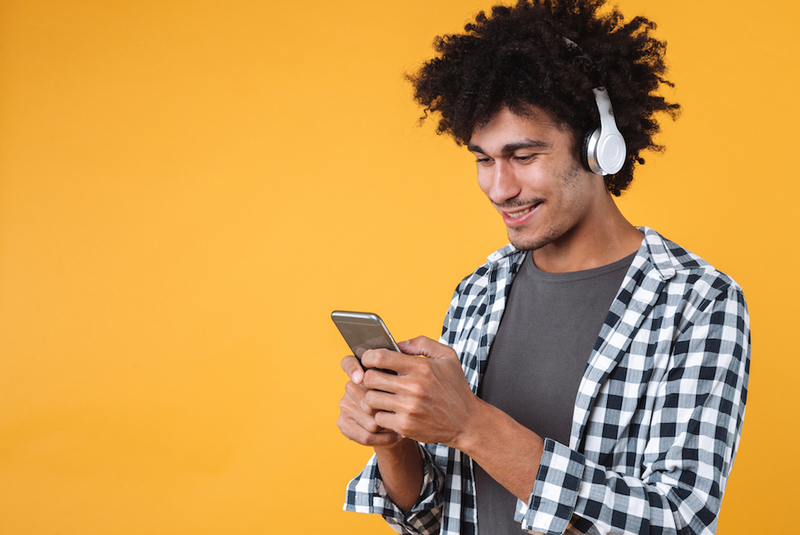 These are opportunities and touch points throughout the customer journey that your staff's going to be interacting with them, so any place that you can get that feedback is going to help you ultimately get the get the review that you're looking for and ultimately the repeat business. You could also use and create physical reminders for your guests to leave reviews or feedback. We've seen a lot of, you know, TripAdvisor cards, maybe some physical marketing material reminding them to go to certain sites. Again, really have a targeted strategy on how to get that reputation up and sites that could be impacting traveler conversion. And you can also utilize post-stay emails like the one that we use with our hotel partners to really forward feedback, get more quantity of reviews at a higher quality for sites like TripAdvisor or Google. Ryan Embree: Now, as we move on to number four, this is kind of adding onto that, but it's really talking about revamping and engaging on not only online reputation sites, but social media platforms as well. First and foremost, you want to make sure that all of your review sites online are claimed. Once one's claimed, you can make changes, making sure that all of your information is correct, all of your pictures are up to date. Again, in 2019, travelers are more than ever using pictures and visuals to start to imagine themselves at properties. They're coming up with impressions of your property, uh, at every single turn on the Internet. So if you're not optimized in every single space, you could potentially be losing out on that customer. 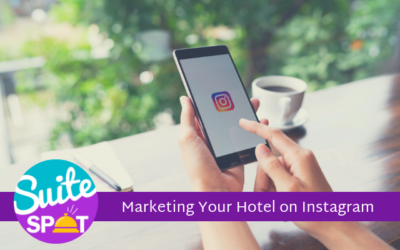 Now, when it comes to social media, most would consider that as not a part of the hotel's reputation. We think about online review sites, but in 2019 the lines have really blurred between social media and reputation. Ryan Embree: We see more social media sites than ever now having recommendations on Facebook reviews that they can leave on social media. Customers are now starting to use social media as platforms to communicate with businesses. And think about this, if you come across a social media page that is either unclaimed or hasn't been touched in years, you're giving an impression to a traveler that you don't care about having an online presence or being available to a customer when they need it most. Ryan Embree: So number five on our list of top five new year's reputation resolutions is circling about a topic that brands are really coming down hard on hoteliers about. And that's responding to all of your reviews online. We're starting to see the power that online review response is having for hoteliers and the expectations that customers now have when it comes to review response. 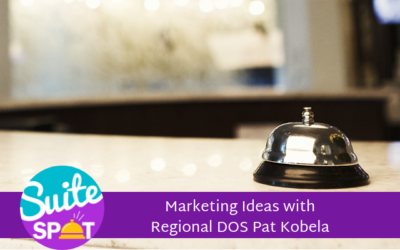 Utilizing unique and creative responses to leverage bookings, ask for repeat business from travelers that enjoyed their stay, and assuring prospective travelers that the negative experiences are being handled professionally and efficiently. Ryan Embree: Travelers are now seeking out not just the positive reviews for hotels, but they're also looking at negative reviews to see the way that hoteliers are responding to those experiences because they want to have the comfort in knowing that if they were to run into an issue at the property that it would be handled professionally and efficiently and not have any blame thrown towards them, and it really gives them an idea of the level of customer service that your hotel is providing to travelers. So start responding to reviews. Make sure it's in a very timely manner within 48 hours. These customers' expectations, these brand standards, they're going to continue to rise not just in 2019, but moving forward. This is going to be something that's going to have to be a part of your daily operations at a hotel or it will start impacting conversion rate and revenue. Ryan Embree: So to recap, these resolutions are meant to set you up for reputation success in 2019. One, identify high risk sites with very low reputation scores. Two, set smart goals when it comes to online reputation review sites. Three, implement creative ways to ask for feedback. Four, revamp and engage on reputation and social media profiles online. And finally, five, respond to every review. By doing these things, you're really taking care of every single step of the traveler journey. You revamped those review sites, you've identified the areas that you need to improve on for 2019, you're getting as much feedback as possible to further your business for 2019, and you're responding to reviews to let customers know that you're attentive, and you have a high level of customer service at your property. By doing these things early in the year, during somewhat of a slower period, you can make sure that you're set up for success during the busy summer and spring months. Ryan Embree: Now, we'd love to hear from you guys, what our listeners New Year's reputation resolutions are. If you are thinking about implementing something for 2019 or even need help with any of these things that we talked about today, again, we partner with properties to help them achieve that high success in their reputation to make sure that traveler conversion is at an all time high. But we'd love to hear some of your 2019 resolutions, reputation resolutions. You can reach us at 407-984-7455, and you can text or call that. We'd love to hear from you. If you have a question or are curious about any of the topics that we talk about or would like to hear something for a future episode, e'd love listening to, all of our followers out there. So, thank you so much. Have a fantastic rest of your day, and we will see you next time on the Suite Spot. To join our loyalty program, be sure to subscribe and give us a five star rating on itunes. Spot is produced by Travel Media Group. Our editor is Anne Sandoval with cover art by Bary Gordon and content support by Priscilla Osorio. I'm your host, Ryan Embree, and we hope you enjoyed your stay.